Floodlights on offshore installations are used, for example, to provide adequate surface illumination across a helicopter landing area. 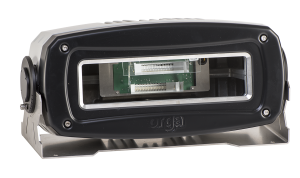 The Orga HFL100EX is an explosion proof LED floodlight that is non-glare and throws out a wide beam for optimum helideck illumination. It also comes complete with aiming functionalities. Orga’s helideck floodlight complements our complete helideck lighting system, which is fully compliant with the UK Civil Aviation Authority’s (CAA) latest CAP437 standard. Why do you need a helideck floodlight? Orga’s HFL100EX floodlight is typically used for illuminating a helideck for landing, unloading and loading activities after the helicopter has landed. In addition to being certified for use in zone 1 gas explosion hazard areas, our heliport floodlight complies with the applicable sections of all relevant regulatory authorities and standards institutions, including ICAO, NORMAM-27 and Norsok. Why choose Orga’s helideck floodlights? Your reasons for choosing Orga’s LED helideck floodlights start with reliability, low cost of ownership and maintenance and the low power consumption made possible by a highly efficient LED light source and lens system. Furthermore, a low profile makes it possible to attach its stainless steel mounting facilities directly on to the helideck. An integrated junction box and the application of a high quality protective coating on its cast light-alloy base gives this heliport floodlight optimum resistance to the harsh offshore environment. With our floodlights and CAP437-compliant helideck lighting system, Orga is, literally, showing the way ahead.